Big or Small Jobs – We Do Them All! 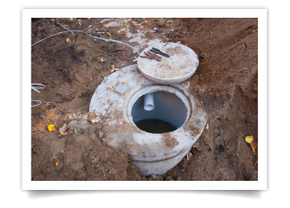 At Country John’s Portable Toilet Rentals / Dennis’ Septic Service, our tank pumps can accommodate any size of tanks that you need cleaned. Our 4 trucks are always kept in top running condition, so we can be ready to roll for you at a moments notice. Our service is available 365 days a year. Many of our clients have told us how thankful they are for the professional care we take not to damage their yard. Whether you’re a residential or commercial customer, you can be assured that we will treat your space and real estate with great respect. In our business, it’s very important that during the tank cleaning process, we don’t leak on the sidewalk or driveway. If we accidentally do, we carry the tools and agents needed to wash the area and clean up our mess. It’s all part of our thorough and caring service. Have our professionals come out to clean your tanks today. Call our office to arrange for your service.